us soon for one of our classes, camps, or craft nights! We are excited to offer several classes for your young artist! All classes will run in 6-week sessions. We offer three 6-week sessions in the Spring and Fall, and one 6-week session in the Summer. Please see registration details below. If you have any questions regarding a class, please call us at (346) 703-2141. Paint & Bubbles Studio hosts morning Adult Workshops and evening Craft Nights . There will be new projects and classes each month and all of the supplies are included in your registration. These classes will be fun and never too challenging, so bring your friends, snacks, and refreshments and join us! 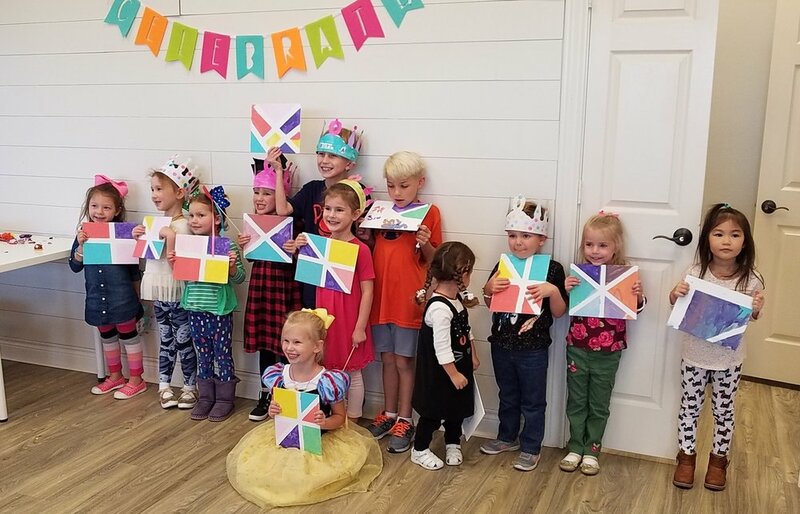 Let us help you plan the perfect party for your child! Our parties are two hours long, allowing plenty of time for making a masterpiece and having your cake, too! We'll help you choose an art project for your guests to create and provide all of the supplies and instruction to make it a success. Looking for a creative way to host a special event for your group? Let us know how we can help! We've hosted company parties, church groups, Girl Scout Troops, and Mom's groups. Fill out the form below and we'll be in touch!